What is special about the new Seminary Ridge Museum? 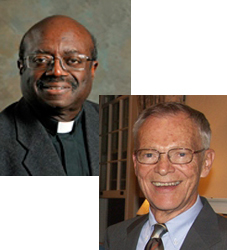 Hosts Dr. Nelson Strobert and Dr. Gerald Christianson discuss the history and the future of The Seminary Explores and the move from local radio to internet podcast. Host Dr. Gerald Christianson explores the future sustainability of seminary education with The Rev. Michael L. Cooper-White, President of the Lutheran Theological Seminary at Gettysburg.